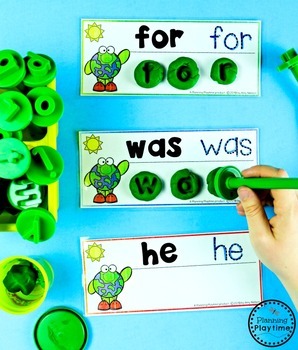 This fun preschool theme is all about Earth Day. This activities pack includes 16 interactive centers or charts and 15 black and white printable worksheets. 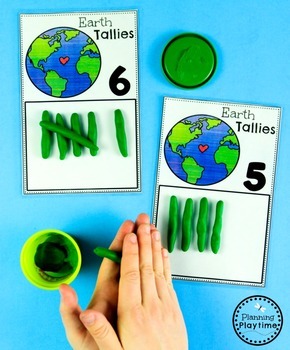 These centers are hands-on, playbased ways to learn using an Earth Day Theme. 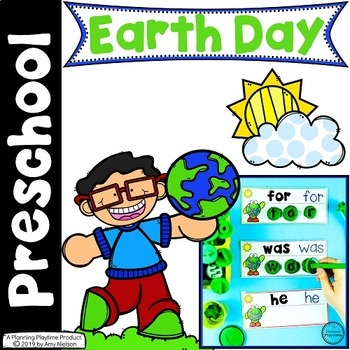 This set also includes 15 preschool, Earth Day worksheets. 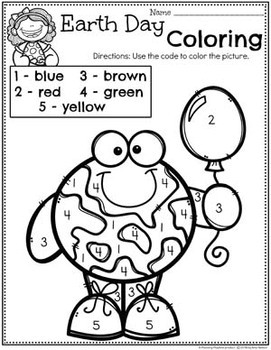 These worksheets cover counting, letter recognition, patterns, tracing and more. I hope you find these preschool centers engaging and helpful in your classrooms. Let me know if you have any questions. I am happy to help. Get credit towards future purchases at TeachersPayTeachers by leaving feedback on purchased items. Go to My TPT, and click on my purchases. After leaving a review on your purchase item, you will receive one credit per dollar spent on that item. Make it easier to find new products from the sellers you like. Just click on the Follow Me link below their name to keep informed of their new releases and sales they may be throwing.